Sharp tip needles have commonly been used to inject dermal fillers into the skin, however, recent advancements in the invention of blunt tipped micro-cannulas have set a new stage in the injectable dermal filler industry. The use of a sharp needle over a cannula really depends on the injector’s preference. Some injectors still prefer standard needles. 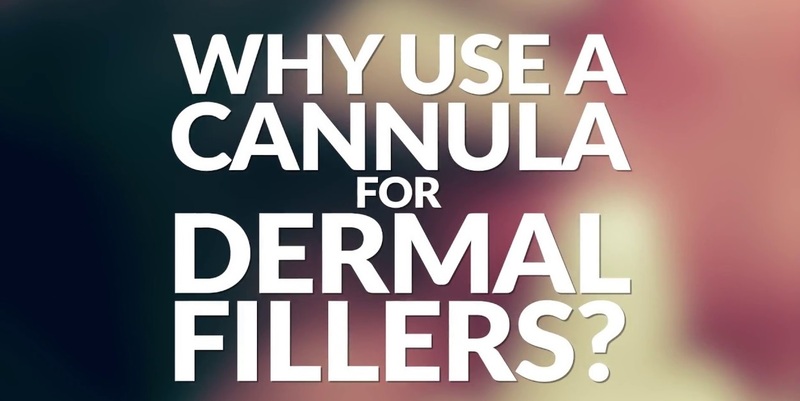 Although cannulas have their advantages, some injectors feel that there is more control over the placement of dermal fillers with sharp needles, and that cannulas have their limitations by being a bit too flexible and bending too easily. Micro Cannulas are used for the main purpose of decreasing the risk of bruising, since the length and flexibility allow the injector to cover a larger surface area with a single entry point. The cannula also has a blunt tip, and therefore cannot pierce the skin; therefore a small needle is first used in the area of injection to create a small opening. The blunt cannula is then inserted into the injection site. The blunt tip cannula works its way around soft tissue without causing damage or piercing any vessels. This ends up causing less bruising and avoids accidental intravascular injections, since the blunt tip pushes veins and arteries aside as they are passed through the tissues. Less bruising and swelling allows for a faster recovery. The most significant difference between sharp needles versus the cannula is a decrease in the amount of pain the patient experiences during the injection process. One other advantage is the blunt tipped cannula can re-enter the very same entry point again without having to hurt the patient again with another needle puncture. Sharp needles are still useful in some places where precision is needed or a small amount of dermal filler is required for small touch ups. Cannulas are also not ideal for injecting very fine lines on the superficial surface of the skin, or filling acne scars, which would require the precision of a sharper needle. Area’s that receive the best result with the use of the blunt tip cannula are lips, temples, jaw line and nasal folds. The results of any injection of dermal filler will depend on the experience and personal preference of the injector, as well as the area of the face that is being treated; however the micro cannula can revolutionize the future of how dermal fillers are delivered. For more information on dermal fillers in Toronto, visit https://www.lastinglooks.ca/botox-dermalfillers-toronto/ at Lasting Looks Clinic in Toronto.